All I Want for Christmas….Selling Your Home During the Holidays | Puck Realty, Inc.
It’s beginning to look a lot like time for turkeys and Christmas trees. For home owners looking to sell during this time, the question can always be whether this is a good time to continue or if efforts to sell should be paused until spring. A good first step is to determine whether you need to sell right now. If you would choose to wait, hold off and enjoy the holiday season with your family and friends. If you do have selling as a priority, the time around Thanksgiving, Christmas and the New Year can prove to have great advantages when wanting to sell. Find an elf to help you…use Puck Realty as your real estate agent! Be sure you have someone who is trusted that can help you with the selling process throughout the holidays. They can be able to help you find potential buyers and stay in communication with you should you have questions or need help throughout the process. Knowing you have a helper and advocate there with you will make selling much easier. Bring on the silver bells and greenery…just keep it simple. One of the greatest advantages of the holiday season and selling is that potential buyers get to see your home decked out with all the decorations. It adds to the elegance of your home as well as the hominess for those who may be viewing it or driving by. Keep decorations attractive but simple so as to not overwhelm viewers or potential buyers. Use traditional colors and themes so that your home appeals to all varieties of shoppers. Over the river and through the woods…are just the right buyers for you. 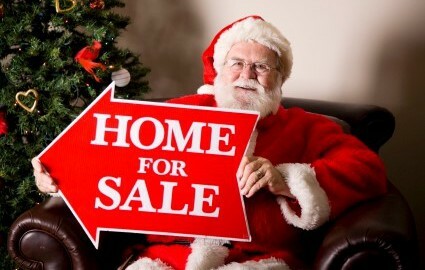 Seek out people and target groups who are may be shopping for a home during the holidays. They may be students that are graduating, job seekers or young families that are seeking out different schools for their kids. With the help of your real estate agent you can identify these groups and market your home to them. People who are looking to buy are typically very purposeful in their need to find the right place soon. Don’t hesitate to research and find places to let them know that your home is available. Wrap the package and tie it with a bow…make sure your price your home to sell. Price points make a big difference. Be sure that your pricing is reasonable for your market. It is better to determine a price range before you market it rather than making price slashes continually while it is on the market. Work with Puck Realty to help you set a price that will help your home to sell quickly. The holidays are a great time of fun and joy. With these tips and some additional help from Puck Realty, you will be one step closer to giving the gift of a new home to someone and checking “SOLD” off your Christmas list!